"Would recommend and will fly again"
✅ Trip Verified | Pakse to Bangkok. Great legspace even for longer people (I'm 191cm tall). Friendly staff and snacks were served with drinks. Ride was smooth, plane clean and we were almost on time. 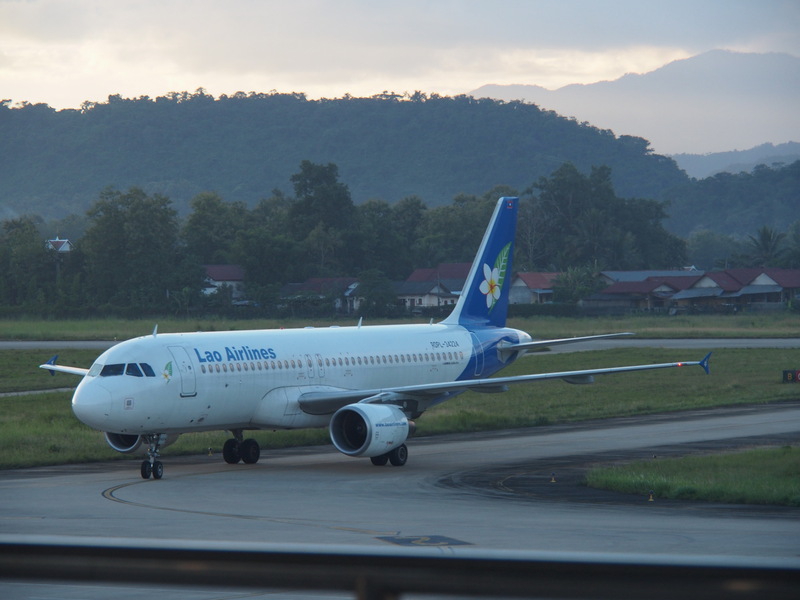 Would recommend and will fly again with Lao Airlines! ✅ Trip Verified | Vientiane to Bangkok. UPlane was clean; food was excellent (3 tuna sandwiches plus water and a second drink of either Pepsi, Coffee, Tea, Miranda Orange or more water). 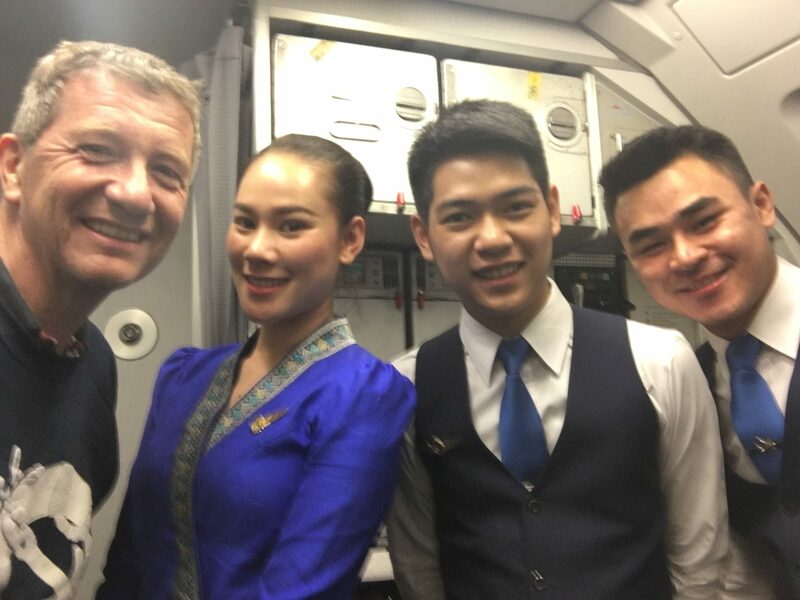 The crew made this flight excellent; for a start, there are 5 cabin crew in total which made a difference to the service time delivery. Every member of the crew smiled; were courteous; served ladies first to emulate their countries values and did a great service. One small minor point was that my seat back pocket was broken slightly in 11A. Will definitely use again. 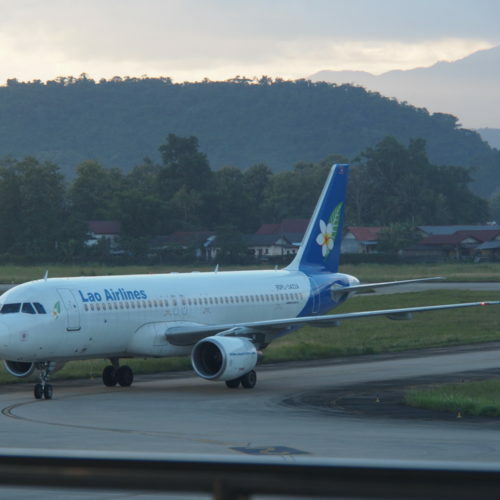 ✅ Trip Verified | Luang Prabang to Vientiane with Lao Airlines. Surprisingly this aircraft for such a short flight was a jet. 20 minutes late to depart. There was plenty of leg room although of course no entertainment. It was surprising that before take off we were not instructed to put bags under seats and a lot of passengers had theirs in their laps. We were given a bottle of water and as we very quickly reached Vientiane with no problems. Not Verified | Savannakhet to Bangkok via Pakse. Lao Airlines is lovely. Unfortunately the seat pitch leave you with no space at all. If I ever have to sit next to someone on a flight, I will simply not fit into my designated space. If the seat in front of me decline their seat I'm in real trouble. They should really fix the seat pitch. Aside from that, Lao Airlines is great. "had to cancel my entire trip"
✅ Trip Verified | Bangkok to Siem Reap via Pakse. Cancelled a regular service flight with less than a week to go, and left me scrambling to find an alternative. Orbitz was no help, and Lao wouldn't even to respond to their requests. Had to cancel my entire trip, thanks to Lao Airlines. ✅ Trip Verified | We took a short flight from Vientiane to Luang Prabang and service, at every touch-point, from check-in to arrival was delivered with smiles, professionalism and efficiency. A clean aircraft with ample leg room was another example of their 5-star service. 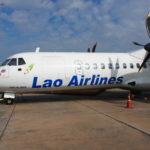 If my experience was the standard that Lao Airlines delivers, then this airline will surely go places. Highly recommended. ✅ Trip Verified | Luang Prabang to Siem Reap via Pakse. This airline has to get the award for the Best Unreliability. We had two flights booked with them - and obviously, part of a bigger travel plan in South East Asia. 10 days before our flight date, they inform us that flight number 1 is cancelled. But you can re-book. No kidding - but book where? Which date? Called them and in conversation asked what about flight 2? Oh yes, that is cancelled too! So when were you going to tell us? Oh sorry - will just send you email. They actually have turned our trip upside down! Best of all - wait 3 months to get your refund. 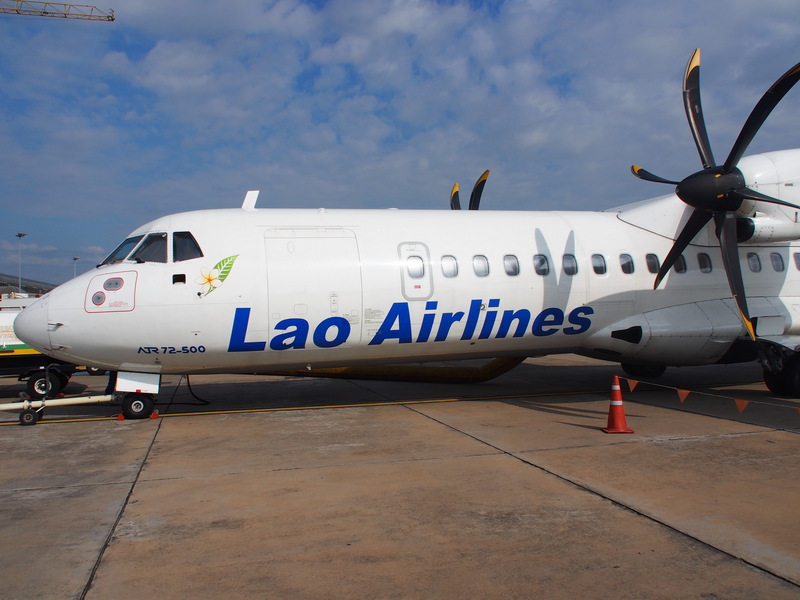 ✅ Trip Verified | I flew Lao Airlines from Luang Prabang to Hanoi. 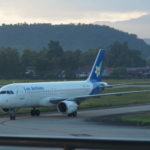 It was a short one hour flight and the service revised by Lao Airlines was everything you could expect for a flight like this. They served drinks and a snack which was a tasty sandwich (although there was no vegetarian option). The staff were friendly. There was no in-flight entertainment, but that didn't bother me as the flight was so quick. ✅ Trip Verified | Luang Prabang to Chiang Mai. First flew with them as Lao Aviation many years ago, that was a risky business but today, Lao Airlines is as different as chalk and cheese! 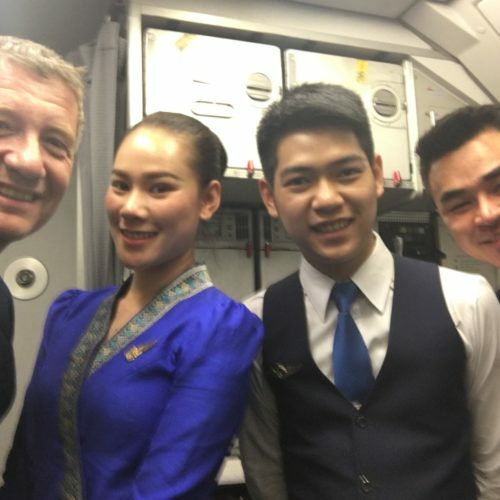 Everything about them is different, the aircraft are modern and well maintained, with clean interiors, staff are friendly and courteous, on-time performance is goo, all in all a great little airline. Flew e sectors, an Airbus LPQ-VTE-LPQ and an ATR-72 to Chiangmai, as good as any other international airline. The catering is not as good as it could be but as most sectors are less than an hour, it is understandable. ✅ Trip Verified | Luang Prabang to Vientiane. The flight took off 15 minutes ahead of time and arrived at Vientiane half an hour early. The cabin was very clean. The airlines only provided a bottle of mineral water. The crew were kindly. They smiled to every passengers.